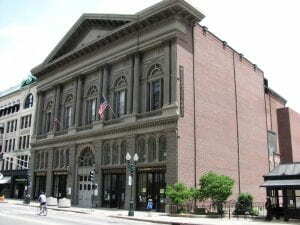 Mechanics Hall is a world-renown concert hall and recording venue build in 1857 by the Worcester County Mechanics Association. Originally constructed as a hall to demonstrate the technological achievements of local Worcester tradesmen, Mechanics Hall has garnered fame around the world as a premier concert venue. More information about Mechanics Hall can be found on their website. Our team comprises of Brandon Franks, Christopher Letherbarrow, and Zachary Shaffer. 3) Develop a better understanding of current entertainment habits of youth and young adult audiences; and use this information to provide Mechanics Hall with new ways to better engage this demographic with events at the Hall.